"Futuro could save you money on labour. Ask me how." Scaffolding has evolved vastly over the years, from the early days of the trusty tube and fitting to the system scaffolding Genstage and Genlok to now Altrad Futuro! 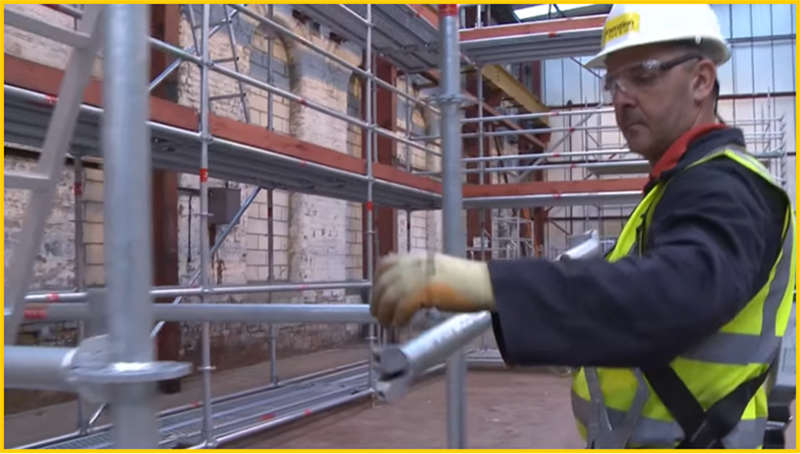 At Generation we still love tube and fitting but we cannot deny the advantages that Futuro has to offer in the ever-changing world of Scaffolding. Futuro is fully compatible with tube and fitting and modular systems and is up to 300% quicker to erect… not to mention the improved safety it has to offer! 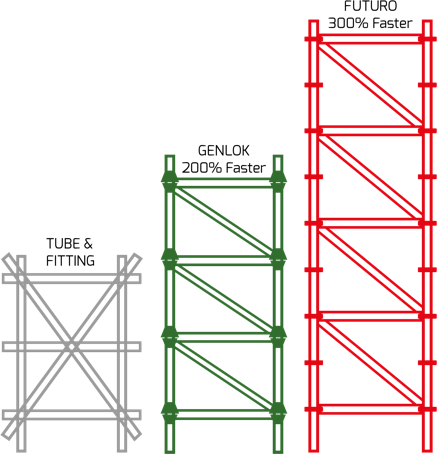 It is used for both industrial and civil engineering; where adaptable heavy-duty scaffolding systems are especially important. The key to the success of Altrad Futuro lies within its tension optimised socket plates, which contains 8 specially formed openings capable of taking up to eight ledgers/diagonals. Meaning virtually any angle can be set between the ledgers/diagonals – up to the mandatory 90°. The proof is in the figures! Futuro is manufactured to the highest standards and is compliant with NASC regulations. It is compatible with a range of platforms, decking, tubing and fittings and available on a hire or sale basis. Using Altrad Futuro doesn’t tie you down to just using our products. Futuro is also compatible with Layher products. Speak to our experts about how this can work for you! Don't believe us...? Take a look at this video.